Among the many great artists we lost in 2016, Dan Hicks, who was born on December 9, 1941, was one of the most original and eclectic. The singer-songwriter Dan Hicks died February 6, 2016, following a two year battle with throat and liver cancer. He was 74. Word arrived from his own website where his wife Clare posted the news. “My darling darling husband left this earth early this morning. “He was true blue, one of a kind, and did it all his own way always. “To all who loved him, know that he will live forever in the words, songs, and art that he spent his life creating. He worked so hard on each and every detail — they are all pure Dan. So, Duke, Benny, Django and Stephane — he’s on his way — you’ll be laughing soon! The performer was known for his blend of bluegrass, country, swing and cowboy folk with more than a dozen albums to his credit. Although he made his mark as a singing and guitar-playing front man, Hicks started out as a drummer in 1965 for a nascent San Francisco folk-rock group called The Charlatans – considered by many the first of the “new” bands to emerge in the city in the 1960s. He also played guitar and sang with the group, performing some of his original songs. The Charlatans played all the noted San Francisco halls but never achieved the commercial success enjoyed by other groups that came on the scene after them, such as Jefferson Airplane, The Grateful Dead and Quicksilver Messenger Service. 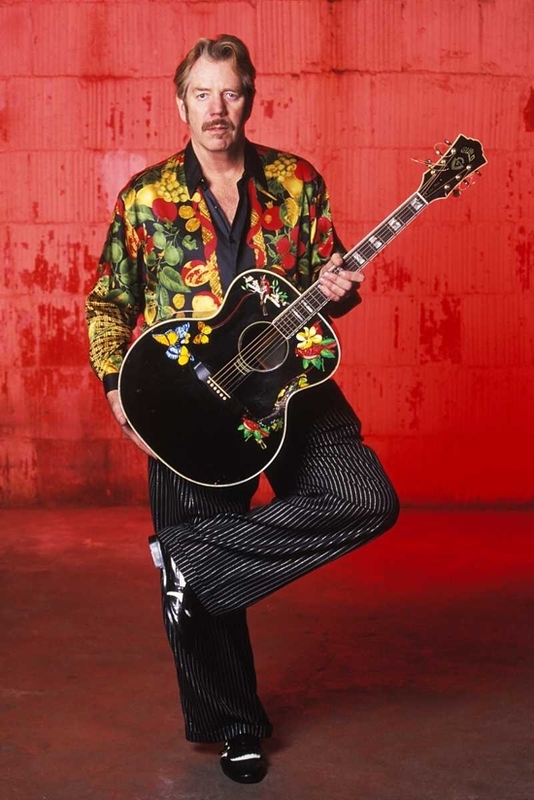 Hicks had other ideas about the kind of music he wanted to make, and began putting together an acoustic combo which included two female backup singers, who were dubbed “Lickettes.” Billed as Dan Hicks and His Hot Licks, the group began as an opening act for The Charlatans. However, Dan soon left the Charlatans and focused his energy on the Hot Licks. Their efforts resulted in a recording contract with Epic Records. Original Recordings was released in 1969, but the label’s promotion of the album and the group was lackluster, and it was not a commercial success. Owing to pressures both internal and external, Dan broke up the Hot Licks in 1973, at the height of the band’s popularity. Hicks then began a low-key solo career of acoustic performances. He wrote music for commercials, television, and movies, including the music for a never-released Ralph Bakshi animated film. That music was eventually packaged and released in 1978 by Warner Bros. Records as It Happened One Bite, with cover artwork by Hicks. In 2011, an all-star revue assembled at San Francisco’s Davies Hall to celebrate Hicks’s 70th birthday. The CD Live at Davies (2013) captures the best of the night. It includes several of his biggest hits as well as some never-before-released songs. Special guests include Rickie Lee Jones, Harry Shearer, Van Dyke Parks, David Grisman, Tuck and Patti, John Hammond, Ramblin’ Jack Elliott and many others.